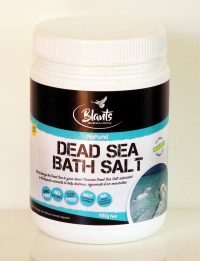 Blants genuine Dead Sea salt is harvested from the Dead Sea in Israel, an area considered a go-to for natural wellbeing and health, thanks to its ‘healing water’. 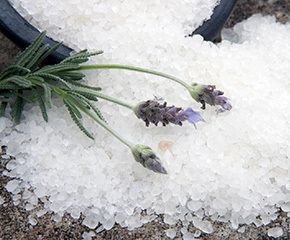 The Dead Sea Salts extraordinary chemical composition has made the Dead Sea the ideal destination for those who need to relax, de-stress, and rejuvenate. A bathing experience in the actual Dead Sea is a unique experience!. 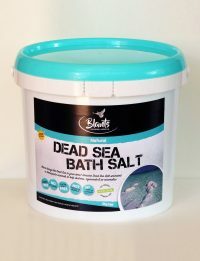 The exceedingly high mineral salt concentration is so much higher than typical ocean water. You just can’t sink!. 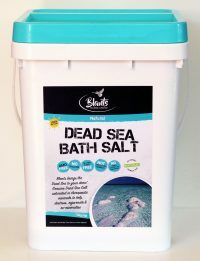 Isn’t it good you don’t need to travel to the Dead Sea to experience the wonders of the Dead Sea, because Blants bring genuine Dead Sea Salt to you here in New Zealand! Our salt has been independently analysed to check its chemical composition, and ensure there are no added, unwanted, ingredients. There are no colourants, fragrances or flow agents. It is allergen-free, and not tested on animals. Suggested protocol is to add 2-4 cups to a warm bath. Soak for a minimum of 20 minutes. Use ½ cup in a foot spa for a relaxing foot soak. 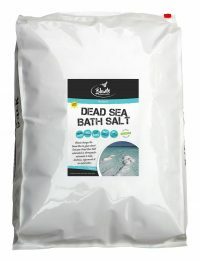 You can use our Dead Sea salt in the shower as an exfoliating body scrub. Ideal for home/health industry/beauty and skin care and much more. Available online in 900g, 5kg, 10kg and 20kg. For wholesale and bulk buy salt, please contact us.